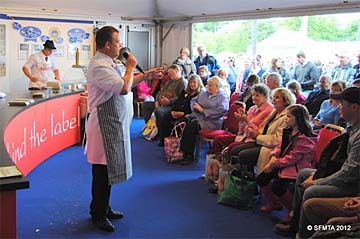 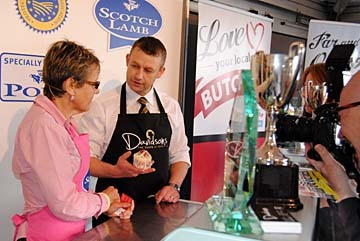 Four Federation members represented the craft butcher sector in front of packed audiences at this year's Royal Highland Show at Ingliston. 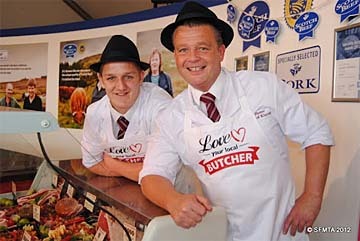 Wet and muddy conditions did not affect the attendances for the butchery cutting demonstrations put on twice per day during the four day event that is marketed by the organisers as the Greatest Show on Earth! 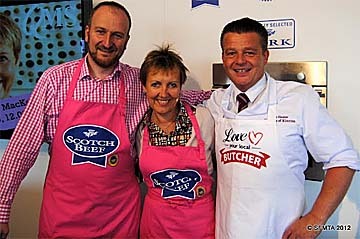 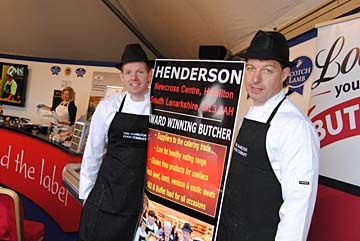 At the invitation of Quality Meat Scotland Hendersons of Hamilton, Gary Raeburn from Huntly, John Davidson of Inverurie and Iain Hunter from Kinross put on two thirty minute shows that highlighted the craft skills and products available from the country's independent butchers. 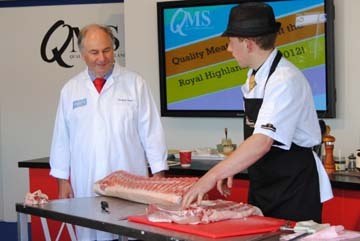 SFMTA Chief Executive Douglas Scott gave a commentary each day. 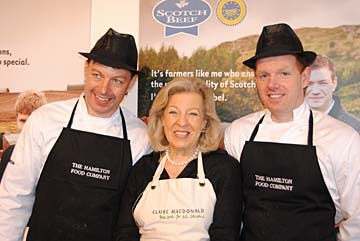 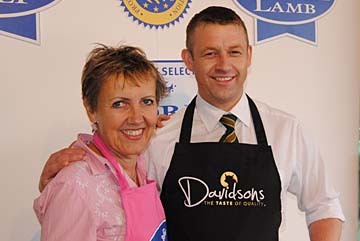 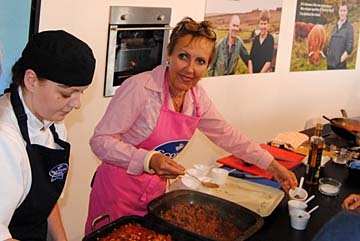 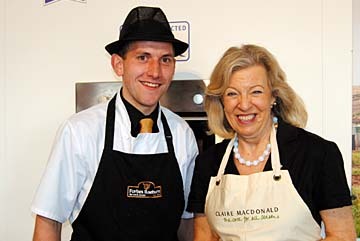 The butchery demos were the support act for cookery demonstrations by Lady Claire MacDonald on Thursday and Friday and Aggie MacKenzie on the Saturday and Sunday. 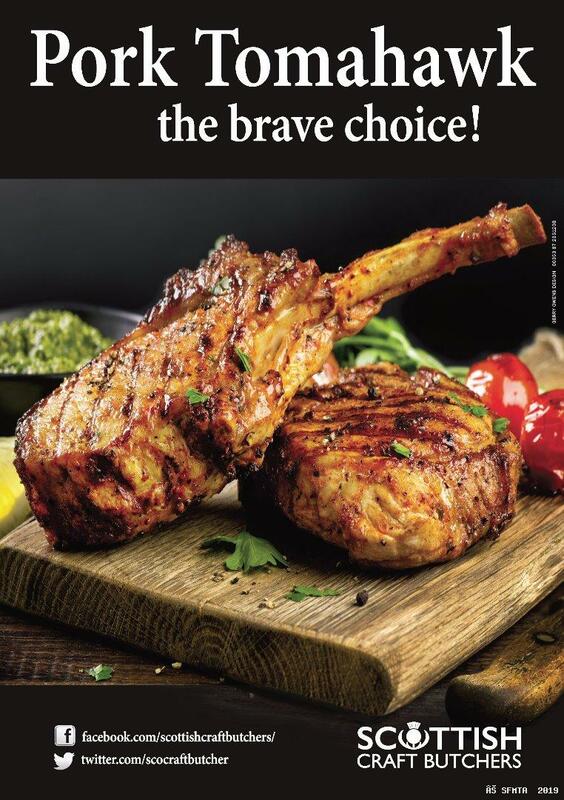 Audiences found boning shoulders and legs of lamb, middles of pork and foreribs and sirloins of beef spellbinding interest and butchers throughout the country should note that there appears to be an insatiable appetite from consumers to watch meat being prepared.